I have written about the glory of Japanese Curry, which I think is basically the best of all the curries. 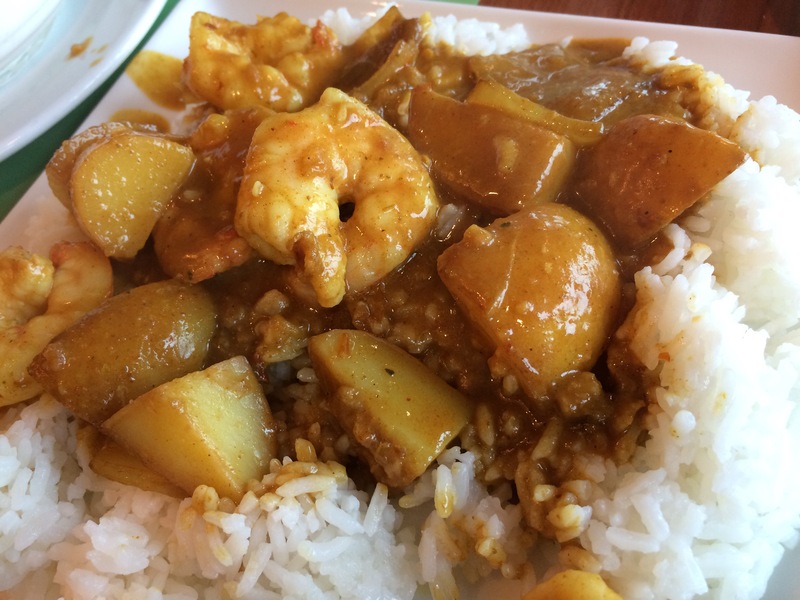 It is under-represented in the curry world, just like another hidden gem: Malaysian Curry. Malaysian Curry is also brown with a yellowish afterglow, and has a bit of a kick that comes in the end. It is sweeter than Japanese curry, but in a way that is endearing and comfortable. 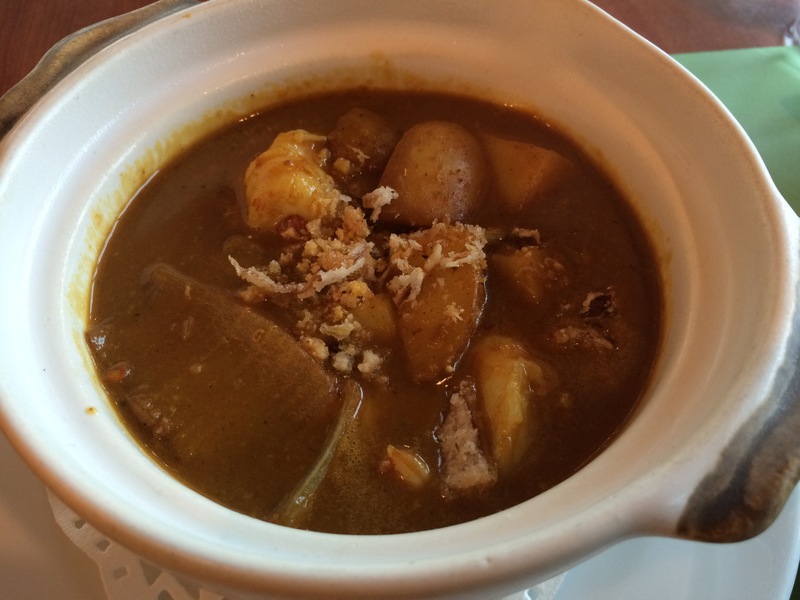 It is not as thick as Japanese curry, which has a lot fewer vegetables in it than Malaysian curry. And a final differentiator is the presence of some peanuts. Maybe just as a garnish or added to the sauce, you can taste them there, cheering you on to enjoy your meal. On a really cold day, this curry is the perfect choice to heat you up, and on a really hot day it’s spice will make you sweat enough to cool you down. I’d recommend it to anyone who wants a curry that is not Indian or Thai, but without the heaviness of Japanese curry. Give it a shot!